I'm not sure if I should be embarrassed, really. I've been a Christian for over 11 years, and a Calvinist for 9 years. And yet I've never read a biography of Calvin, let alone done anything more than peruse the Institutes and occasionally stick my head into his Commentaries when I needed a little wisdom. The deepest I've gotten into Calvin's life was studying up on what really happened during the Servetus affair. Part of my reticence stemmed from my early years as a Calvinist. My own self-consciousness caused me to desire a self-righteous platform from which I could proudly declare that my doctrine came from the Bible, and not from a man, and that I had never even read Calvin. Fast forward to today; I've been a Calvinist for almost a decade. I'm now at that place where I feel like if I haven't read a proper biography of Calvin, then it's just a little bit sad. 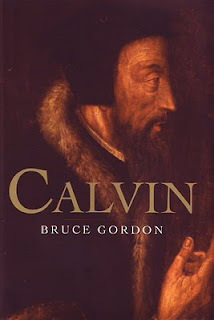 That's why I initially picked up Bruce Gordon's biography, which, as it turns out, is a very good starting place for a Calvin rookie like myself. Part of my take on this book is that it is very helpful to have a rough understanding of the Reformation before reading, because a lot of references are made to Calvin's contemporaries, and Gordon simply assumes that you know who the big players are. While I'm aware of Zwingli, I don't really know much about him. Similarly, with Luther and Bucer, though I have decent background on them, it wouldn't have hurt for me to be up on my Reformation history before diving in. Beginning in Calvin's childhood (of which we know little) and moving through his years in the university, we see Calvin's journey from the ground up. Doubtless, Gordon avoids more trivial facts for the sake of moving along the narrative. For this, I was thankful. Gordon takes us through Calvin's tumultuous and adventurous life. One of my favorite quotes from Calvin came after he was first thrown out of Geneva. After a few years away from the Genevans, Calvin's friend Viret essentially told Calvin he may have him return to Geneva. At this, Calvin responded, "But it would be far preferable to perish for eternity than be tormented in that place. If you wish me well, my dear Viret, do not mention the subject!" Basically, Calvin would have rather gone to hell than to Geneva. What I want to do, instead of retelling the narrative that Gordon gives us, is to share the things which I personally gleaned from reading this life of Calvin. When I first learned about the Servetus affair, I stood as a modern, liberal, freedom-loving westerner. In many respects, it is very easy for us to look down upon the Genevans' decision to execute the man. While it may have been the wrong decision, we act as though the answer is obvious. The more I learned of the precarious times in which Calvin lived, the more intensely I appreciate that at the time, it was not obvious what to do with heretics such as Servetus. Most of society stood and fell upon matters of theology. Every major city really needed theologians around which society could build its metaphysics. These were times in which harboring heretical ideas could cause one city to go to war with another. This is so foreign to us in the 21st century west that we almost think that we're hearing a bad excuse without taking seriously how difficult the times they lived in were. This might seem like a given, but we often think of the giants of the Christian faith and think of them as monoliths or as solitary figures. However, as I read Calvin, I time and time again encountered a man desperately in need of dependable men who would stand back to back with him. The greatest disappointments in his life appeared to have been failures of friends to remain by his side during his toughest trials. I am surprised that in the ﬁrst colloquy you did not perceive the snares in which you threw yourself. The method you adopted always displeased me, namely, making half of your cause rely on the testimony of antiquity. On this matter [of images] the agreement between us is like that between ﬁre and water. But because you committed this slip not from error or want of reﬂection, I leave that decision free to you. The wound, however, which was beginning to form a scar is evidently bleeding again and compels me to profess how greatly I differ from you. Therefore, should Viret be taken away from me I shall be utterly ruined and this church will be past recovery. On this account it is only reasonable that you and others pardon me if I leave no stone unturned to prevent his being carried off from me. In the meantime we must look for supply to the church of Lausanne, according as shall be appointed by the godly brethren, and by your own advice. Only let Viret remain with me. By Calvin's estimation, his friend kept the peace in Geneva by his calm and soothing approach. Though the two men differed in no way theologically (at least for many years), their different approaches to dealing with error created a formidable and effective collaboration. I have a relationship that reminds me a great deal of Calvin/Viret, and friendships like this are irreplaceable. No man is an island, as they say. Gordon put Calvin's understanding of friendship in these terms: "All his life Calvin would deﬁne friendship in terms of a commitment to a common cause; it was within that framework he was able to express fraternity and intimacy" (29). Exactly. Who is a closer brother than the one who stands back to back with you in the matters which matter most significantly and eternally? Similarly, what greater betrayal can a man who loves truth experience than when his brother who stood with him in a common cause later abandons that cause? How easy is it for we modern men to luxuriously talk about pursuit of God from the comfort of our air conditioned homes, our soft beds, with our indoor plumbing. Yet in the meantime I consider it a challenge to spend 30 minutes a day writing on my blog which 50-100 people a day read from the comfort of their living rooms or laptops. How easily we murmur and complain, and yet I don't believe that I have had one day in which I devoted myself as fully to the cause of Christ as Calvin did. 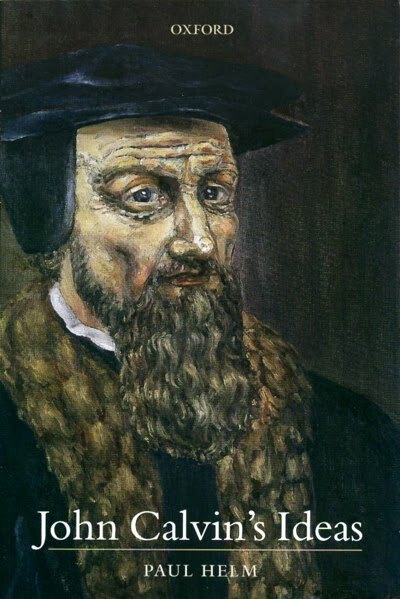 He wrote without aid of typewriters, in a medieval setting with quill pens and dirty houses, in a city battling the plague and with constant threats against his life - if not from his enemies within the city, then from neighboring cities like Berne who - for all he knew, might just go to war with Geneva if they didn't like something Calvin said about predestination. Under threat of war, against the physical odds, the man wrote prolifically and taught publicly at least three times a week, all the while training men to be pastors and trying to root out the bad ones. And when he did root out the bad ones, they would be permitted to live in neighboring cities and spread vindictive lies about him, many of which were difficult to stop from spreading. In his death, one biographer manufactured pure lies about him, calling him a sexual miscreant, a sodomite, and claimed that he died in the grip of genital lice. These were the sort of problems and pressures under which the man lived, wrote, and eventually died. Our challenges are tame by far, in comparison. If we want to only take our cues from sinless men, then we need look no further than the example of our Lord Himself. However, we need heroes in the faith who are fallen and sinful like we are. These are men with the same sin nature which we also suffer with, and as such, we need them, so that we can see how they fought for joy in God, and also so that we can learn from their failures. I could write a lot about Calvin's own vices; about his pridefulness, about his uncharitable words against his opponents (he still pales in comparison to Luther in terms of sheer colorful expression), or about his treatment of dissenters within Geneva. He was quick to remember betrayals and to repay them in his own way, often years later. But at the same time, he was keenly aware of his own wickedness, and this compelled him to cling to Jesus even further. In his final confession before he died, he expressed that "alas, my desires and my zeal, if I may so describe it, have been so cold and ﬂagging that I am conscious of imperfections in all that I am and do." Bruce Gordon observes, "It was his acute sensitivity to the gap between what was and what should be that distressed him." While he held others to high standards, he did the same for himself. He was not willing to judge others by a standard which he was not also willing to apply to himself. It is this way of living in the face of sin from which I take great encouragement. The only shortfall in the book, by my estimate, is his discussion of the affair with Westphal. At first I wasn't going to mention this, thinking that I simply hadn't properly understood Gordon. However, in Paul Helm's review of this same book, he mentions that Gordon almost entirely omits discussing the details of Calvin's struggle against Westphal. This omission caused a great deal of confusion for me over the course of about ten pages, as I simply tried to reconnect with the narrative, wondering what I had missed. While Gordon does mention that their disagreement was regarding the Lord's Supper, and he does give the blow-by-blow of Calvin's polemics against Westphal, what is largely missing from the narrative was the substance of their disagreement and why it was that the Lutherans generally supported what Westphal was saying. Overall, I am grateful for Bruce Gordon's work in this book. I recommend it wholeheartedly as a very readable, somewhat brief (though about twice as long as T.H.L. Parker's biography). I can't help but think that Bruce Gordon's Calvin paired with Paul Helm's book John Calvin's Ideas would be an incredibly potent reading combination. In fact, Helm's book is the next book that I've started, having now finished Gordon's largely historical overview of the man's life.